Swami Premananda ji well known as Ravi Swami in Matale and the founder of Sri Premananda Ashram situated on a 400 acre land in Fathimanagar (later named as Premananda Nagar) Trichy and Cadloure Ashram Chennai, attained Maha Samadhi on February 21, 2011, shortly after his 59th birthday. He was ceremonially laid to rest in a sanctified Samadhi, in a special structural Trichy Ashram on February 21, 2011. His body was placed on a sandlewood chair after laying sacred yantra plate on the seat and decorated with garlands. The Samadhi structure is nearly eight feet in length, breath and height. At the centre of the pit there was in laid a special yantra plate, and cemented over. Thereafter, the body seated on the sandlewood chair, was gently lowered into the pit and a new set of Swamiji's clothes were draped on the body. The body was then gradually covered with various items that were considered auspicious for the occasion, such as, Vibuthi, Vellam, Camphor, Navathaniam, Viva and Thulasi leaves and garlands made of cardamoms etc. Finally, the rest of the pit was filled with sand up to brim and a lingam was placed. This pit was dug inside the Shivan temple where Swami Premananda ji started when he was living, and the temple Moolasthan will be the place where the Lingam was placed on the Samadhi structure. Thereafter, special poojas were conducted thrice a day for 40 days. For Swami Premananda ji's maha Samadhi ceremony, there was a gathering in the thousands, including a large number of foreign devotees from Belgium, Switzerland, France, Italy, Sri Lanka etc. The Samadhi ceremony was conducted according to Swami Premananda ji's advice given to the doctor who was a regular visitor to the prison where Swamiji was jailed. * The great Saint Sri Ramakrishna Paramahamsa said, “Saints and sages have to undergo agonies and suffer. They sacrifice themselves for the welfare of mankind”. * Disciple Devadatta, a very close relation of Gauthama Buddha tried his best to defame the Buddha. * Lord Krishna was born inside jail. * Lord Rama was sent to the forest and he was there for 14 years. * Christ was betrayed by one of his disciples named Judas. The rulers of that country gave a judgment to crucify Christ. * Sathya Sai Baba's own students tried to kill him. Likewise Swami Premananda ji had to go to jail due to the allegations made by some of his own orphanage children and close associates. Swami Premananda's character was independent, critical, but not cynical. He was never downcast, or felt helpless. He had a wonderful power of forgiving men for their faults. When anyone spoke harshly to him he did not retort. He expressed his sense of gratefulness even for a single act of kindness, done to him by others. He never remembered if one rendered, hundreds of unkind acts. He had no time for gossip, scandal, or useless little talk. Swami Premananda ji was a great personality who upheld nothing but the Dharma. Whether we look upon Swami Premananda as an Avatar of Vishnu or as a human being a perfect exemplar of all human virtues, we are wearied admires of Swami Premananda's transcendental excellence. 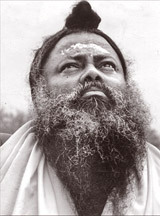 Those who look upon Swami Premananda as an Avatara seek the trace of his perfection to his being ad hoc human manifestation of the divine person; on the other hand those who regarded Swami Premananda as a perfect human being seem to my view as doing justice to his character in that the perfection of his character is regarded as the result of strenuous self-discipline not the mere sifi of the divine. However, it is perhaps fair to say that the difference between the two views seems narrower than is often thought. Human qualities in such perfection are not indeed anything but a product of the grace of the divine. I have mentioned above that Swami Premananda was known in Matale as Ravi Swami. Once Ravi was addressing a meeting at Koombiangoda hall in Matale on Vijayadassamy day after Navarathri when a strange thing occurred. Despite lack of electricity and running water the hall was crowded with devotees. Ravi's parents also were present there. Suddenly people saw a light around his whole body. An ochre robe, which was in two parts, the top and a dothi, appeared on him, amidst the wandering gaze of all present. He was being granted spiritual initiation by an invisible hand. The miracle received press coverage but Ravi's parents objected to publishing about this event in the newspapers. As far as his parents were concerned, they did not like this change because it was considered demeaning to have a son as a Swami and a mendicant. But Swami ji was delighted with this experience and vowed to himself that he would always wear a robe and that he would live up to the principles of a Swami, to be of service to mankind, and to be an example to his devotees. According to my view there were two living Avatar's upto 2011. That is Sathya Sai Baba and Swami Premananda ji. Both attained Maha Samadhi last year. Mahashivarathri is a sacred day for Hindus. On this day, Lord Shiva manifests himself in the form of lingam. This manifestation takes place after midnight on Mahashivrathri day. On this particular night an auspicious phenomenon takes place. Swami Premananda manifests four to five lingams and brings them forth through his throat and mouth which is an in voluntary sacred happening in him. He had performed this act on all Mahashivarathri days, each year for the past 42 years until 2010. Though he was in jail this sacred happening continued every year during Mahashivarathri period. Not only lingothpavam (taking out lingams) Vibuthi (Holy Ash) also comes out from his mouth. In 1989, we openly saw the Holy Ash pouring from all over his body during the lingothbava. Swami Premananda said it is God's Grace manifesting through his body in a tangible form for our sake. To receive Vibuthi from an enlightened soul is a rare opportunity. Such Vibuthi has the power to cure disease, solve problems, relieve physical and mental pain and nullify the effect of past deeds. In the early years of his mission in Sri Lanka he played the role of playmate to the orphanage children and a friend and companion to the elders who visited Poobala Krishna Ashram (Gandhi memorial hall) in Matale (adjoining land to the Rest House premises). He was in the practice of having trips, sathsang programmes at public places and at houses of devotees for small gatherings. He had a charming personality which exuded a spiritual glow of his radiant smile and eyes flashing. He is a very striking figure five feet in height wearing saffron or red colour attire. He had dark curly hair like halo on his head. This human magnet drew men, women and children of all races and religions towards him. He is an extraordinary person with super natural powers. I have experienced and witnessed his divine and miraculous powers. By this time he had Ashrams in Jaffna and Puliyankulam. With the riots of July 1983, that took place in Sri Lanka there was an exodus of the victims of the riots. The Matale Poobala Krishna Arshram was burnt and destroyed. Swami Premananda ji accommodated a large number of members of the Matale Ashram and orphanage children at Fathimanagar Ashram, in Tamil Nadu and helped them to re-orient their lives in foreign climes and also spread his spiritual message to the world at large. Similar Premananda groups later sprang up in America, Japan, Singapore, Germany, London, France, Belgium, Spain and Italy. * In Matale Ashram he mentioned during a Sathsang programme that in his previous birth he had 18 disciples and all of them have been born again in different parts of the world. When he is about to attain Maha Samadhi he will summon them from the different parts of the world. On an auspicious day in the presence of said disciples and devotees he will disappear. After his Samadhi he said that there will be a spring in front of the present hall. This spring water will be able to cure people just like the miraculous water of Lourdes in France. * A devotee questioned; are we near to the period of destruction? Swamiji replied it will not happen by war or due to bombs. It will happen through natural calamities. Even if the world gets destroyed tomorrow we cannot do anything about it. That is not our business. As long as we are alive let us do something useful and good to society and self without having selfish motives. God is Truth and Truth is God. * You always look to find out other faults. You always tell others that you do not like them doing this, that and the other. When we are on the correct path, let us tell others about it. Let us all move on the correct path together. In such a manner, let us advise our own minds and correct our own mistakes. Therefore, try to purify your own mind. * Don't give money to find out and try to know God. Don't give money to Premananda to see God. Spiritually nothing can be achieved through money. You do not need money to approach God or Nirvana. * Monks of all religions, there are some who are genuine and some who are not. In Sri Lanka, Buddhist people have much devotion and prostrate themselves before the monks and render due respect to all Buddhist monks and accept them. But you (Hindus) do not give this same respect to all Swamis. Some of you all even wonder about me. If you do not truly like them it is better you stay aloof rather than putting them down. Be kind and loving to them. Do not suspect them. If they are wrong then that is their sin and it will not leave them. I would like to conclude this article as follows. Bodhisatvas always committed their lives to the salvation of all the spiritual aspirants in this world. He will not attain Nirvana and will continue to foster our spiritual developments. So, let us give up petty arguments and surrender ourselves completely to the cosmic will or Dharma and to live according to whatever the religion we follow.